Pi? Pie? Why not both? You may have heard, March 14th is a day to celebrate the mathematical constant, pi, or 3.14. Thankfully for us, someone made it fun by including a celebration with actual pies. From traditional apple and cinnamon to Oreo and peanut butter - there is a pie for just about any craving you are having. We tracked down some of Houston&apos;s tasty selections at various bakeries and restaurants around town. The Flying Saucer Pie Company has been in the Houston area since 1967. They hand make each of their pies from scratch and it’s not uncommon to see people lined up around the building to grab a piece! (Don’t worry, that usually only happens during the holiday season.) 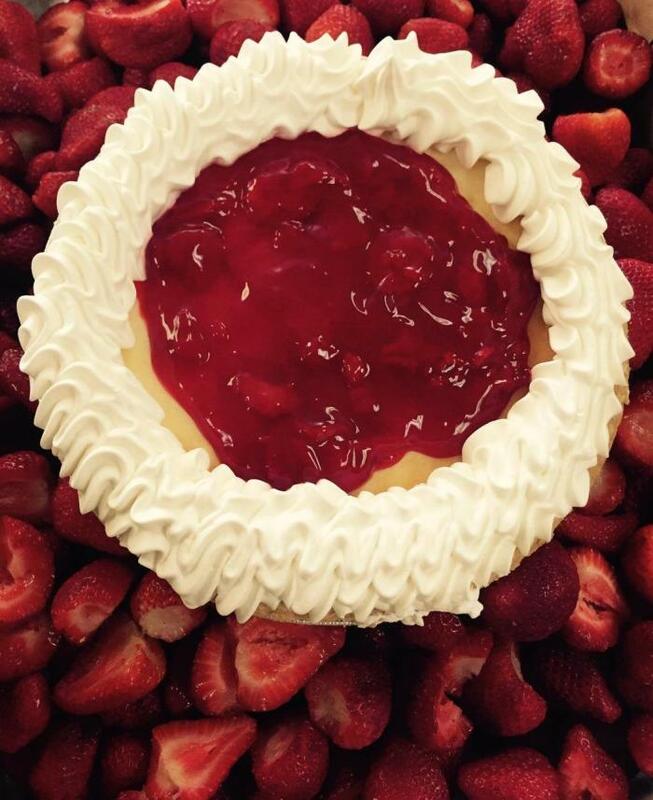 The strawberry pie is a beautiful combination of fresh, chopped strawberries in a flaky crust topped with whipped cream. Common Bond Bakery and Cafe off Westheimer near Montrose is a beautiful shop with a sprawling patio for those great weather days (like today). They have a huge pastry case full of freshly baked goods. 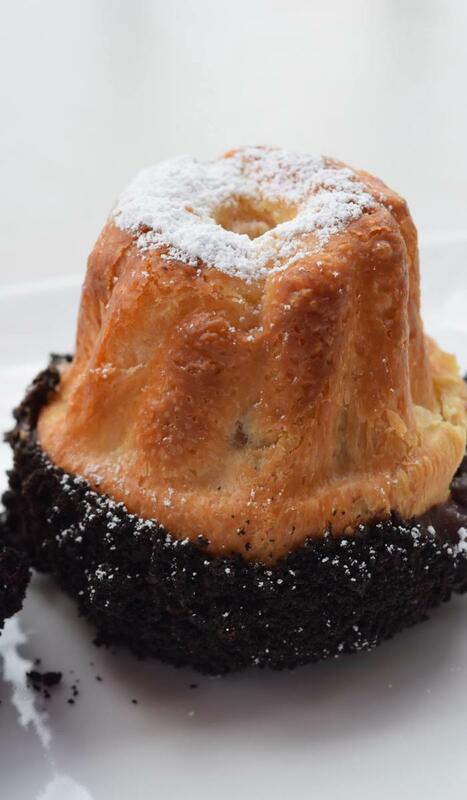 The Kugelhopf Boston Cream “Pie” is a light yeast leavened pastry filled with vanilla custard and chocolate fudge and accented with golden raisins. It’s finished by being lightly brushed with butter and dipped in French Dark Chocolate, then dusted with housemade chocolate cookie crumbs. It’s served in an “upside down” style and in individual serving sizes. You may recognize award winning Pastry Chef Rebecca Masson&apos;s name or maybe her work (pictured above). 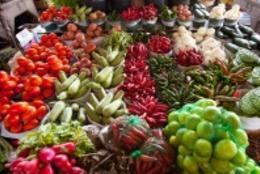 After all, she&apos;s been featured on Bravo’s Top Chef Just Desserts and in magazines and local TV segments. 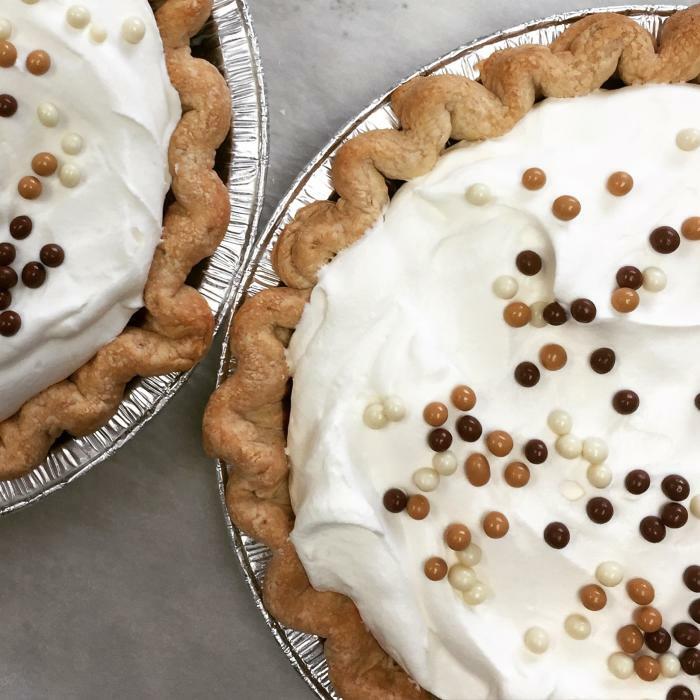 While there are many sweet treats to enjoy at her shop, for pies, check out the Chocolate pie, topped with fluffy whipped cream and sprinkles. Fluff also serves small personal sized “pies” like the Bakewell tart which is a flaky tart dough filled with concord grape jam and baked peanut cream. From Sweet Potato to Pumpkin, Coconut Custard and Buttermilk, House of Pies has just about every pie you could crave ready for your enjoyment. Probably one of the most popular pies among locals is the Bayou Goo pie, which has an off-putting name, but an on-point flavor. 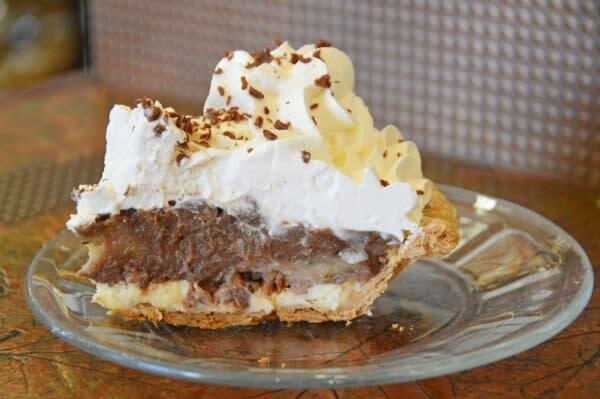 This pie has a flaky pecan crust with a layer of sweet cream cheese, vanilla custard swirled with chocolate chunks and a healthy topping of whipped cream with chocolate shavings. From fruit to nuts and cream, Ooh La La has many options when it comes to pies. 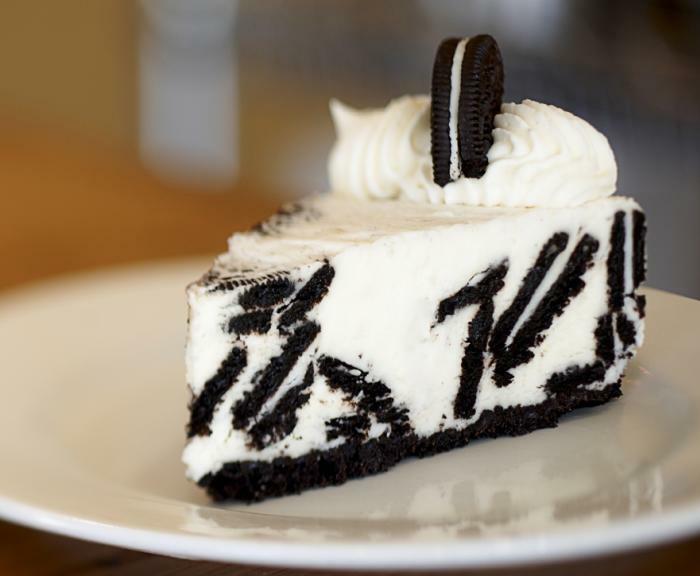 Might we recommend the Oreo Cream Pie? Stuffed with silky cream and plenty of chocolate and cream filled Oreos, this is a delicious take on milk&apos;s favorite cookie. The Key Lime pie is another customer favorite. 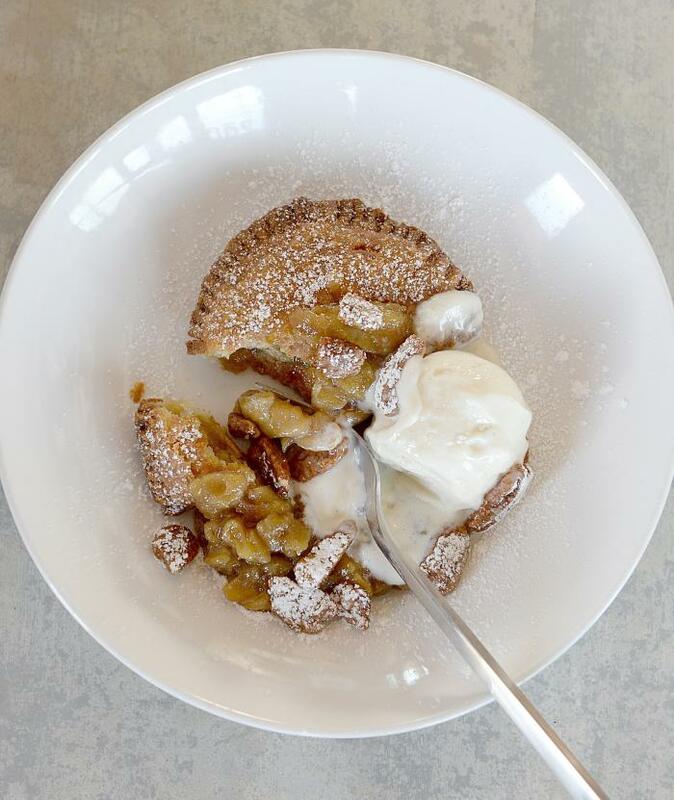 This Houston&apos;s staple&apos;s motto is “Buy Local, Eat Local at an affordable price.” The farm to table restaurant serves up a fried apple pie that is described as a sweet warm apple with a flaky pastry crust drizzled with house caramel sauce, chopped candied pecans and a scoop of Amy’s Mexican Vanilla ice cream. 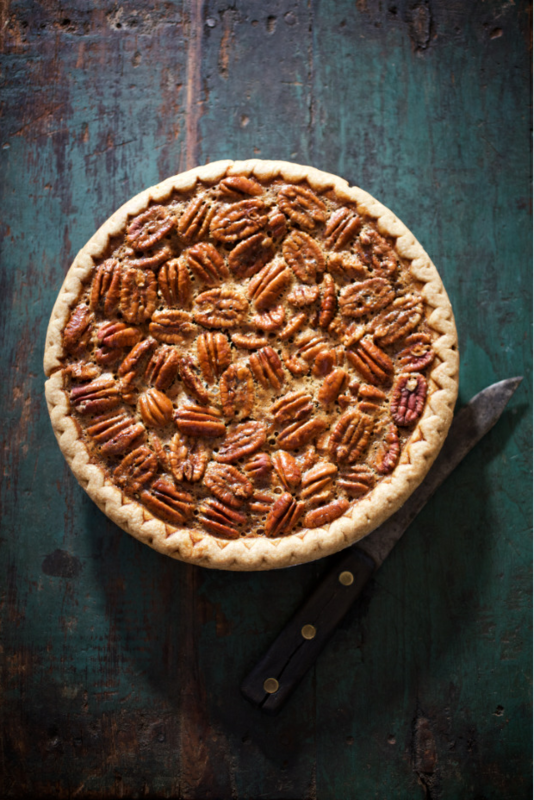 Goode Company’s Brazos Bottom Pecan Pie is one of Oprah’s favorites, so of course, it will probably be one of yours too. The handcrafted pie has been a staple ever since Goode Company Barbecue opened on Kirby Drive 40 years ago. The recipe is still the same tried-and-true formula that Goode’s grandmother mastered using natural Texas pecans and fresh farm eggs. The pie can also be shipped in a beautiful etched pine gift box - so it makes for a great gift! 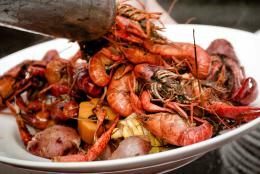 Two New Yorkers started up Kenny and Ziggy’s deli and bakery after moving to Houston years ago. 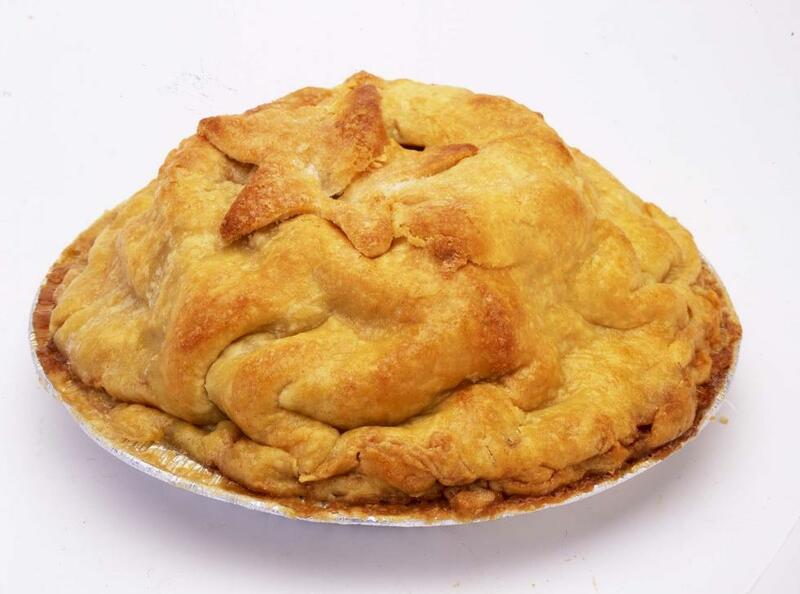 In true, Big Apple style, they serve up a “Mile High” Apple Pie that is something you have to taste to believe. The flaky crust and tart apples make for the perfect combo for this traditional dessert. 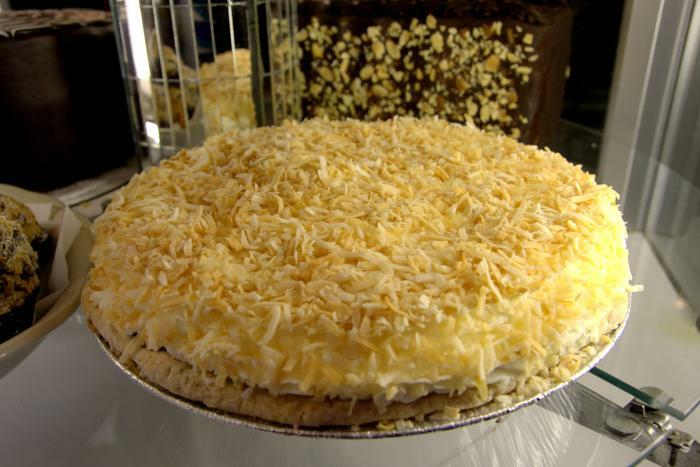 They also make a mean Coconut Cream Pie. You already feel like you are in a big tree house when you are dining at Rainbow Lodge, so why not enjoy a kid classic dessert, the Lemon Ice Box Pie. 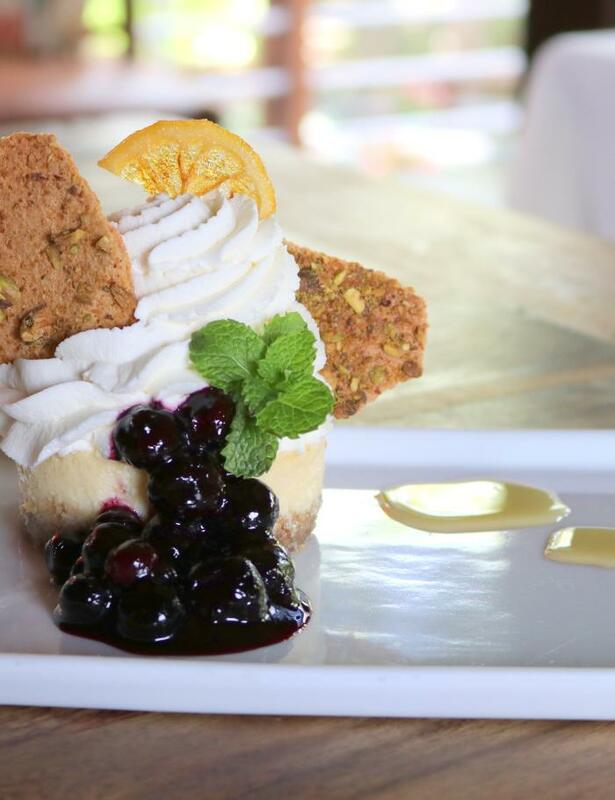 The graham cracker crust, blueberry port compote and Cardamom honey are sure to transport you back to your childhood in the best possible way. You could also celebrate “Pi” day with another kind of pie… in the pizza form. 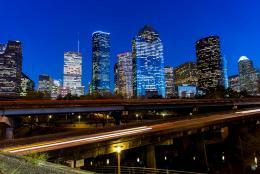 Check out our list of 10 Pizzas You need in Houston.